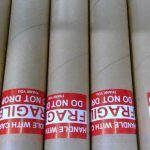 If you prefer your prints to be shipped in a tube rather than flat, we have added some tube based shipping options in the shipping drop down at checkout to be available for some types of orders, primarily prints on our fine art papers. These will show up with the regular shipping options at checkout but say “tube” in the shipping method name. At FinerWorks we have full-time on staff two people who are also actively involved in the art gallery business at night and on weekends. Zane Thomas is a successful screen printer and founder of both Black Moon Prints and Black Moon Gallery, based in San Antonio. Melissa Hernandez shuttles between Austin and San Antonio and works for multiple galleries such as Art on 5th in Austin and Tatum Originals in San Antonio. She also represents various independent artists as a dealer. At the same time, she is in the process of developing a new gallery in San Antonio’s Blue Star Art Complex. 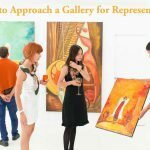 I had a chance to spend some time with both discussing what is the best way for an artist to find gallery representation. I thought it would be best to get some tips direct from them since they have had the fun and displeasure or having to both accept and reject artists and their work. Based on our discussion, this is what we came up with that we think will help and artist understand and better go through the process of finding representation.